Nicotiana For Your Cut Flower Patch. Nicotiana are best grown as annuals…though they are actually usually short lived biennials that flower best in their first year. They are native to South America and they like to party at night….which is when they release their heady scent…this is because they are pollinated by moths. The flowers come in a range of colours and are usually trumpet shaped…stems can sometimes be slightly sticky and resinous. Nicotiana make sensational cut flowers. 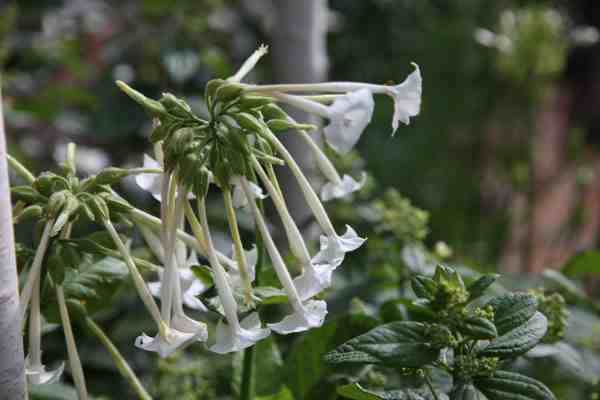 *Nicotiana like a moisture retentive but well drained soil. *Sow under glass in modules or pots in April…or outside after mid May…but under glass works best in my experience. *The seeds are REALLY fine….be careful not to sow thickly….some folk mix the seeds with sand to help give an even distribution. *Harden off plants before planting them about a foot apart after the frosts have trotted off. The Best Nicotiana For The Cutting Patch. 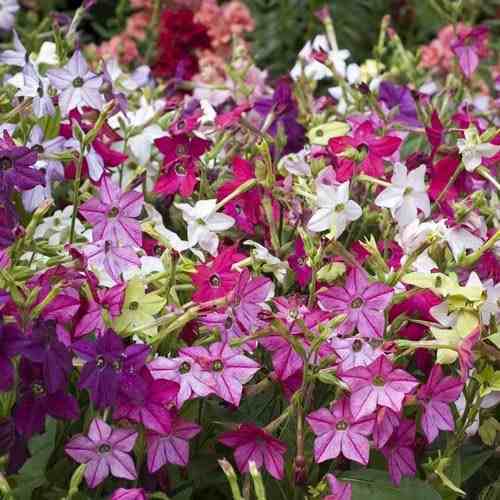 *Nicotiana ‘Sensation’ is a great mix…wonderful and cheery fellows…very charming and with a delightful evening scent…I grow a tub and leave outside the kitchen window…I know….I am SO continental. In good conditions these can grow nearly a metre tall. *Nicotiana ‘Lime Green’...Used carefully ‘Lime Green’ acts as a delightful foil to other flowers in your displays…it’s a very prolific creature and never fails to impress. 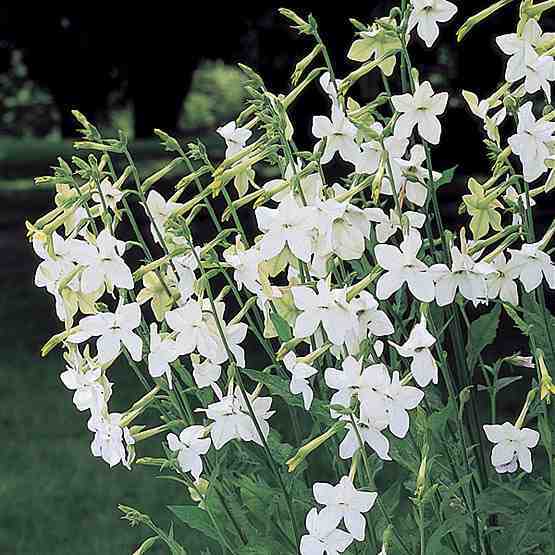 *Nicotiana ‘White Trumpets’…the towering surf dudes of the Nicotiana world. These are great at the back of a border and make they very statuesque statements in the vase. (Whatever a statuesque statement is…) These chaps will get to 150 cm tall. Helichrysum (Strawflower) ‘Hendrix’	Aster ‘Ostrich Plume’ For Your Cut Flower Patch. 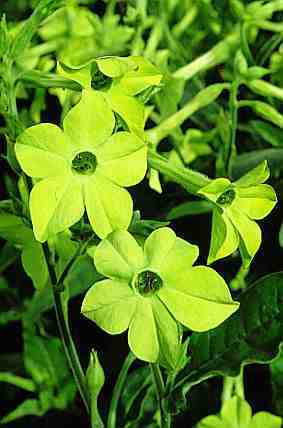 I grew your Nicotiana Lime Green this year in pots and they have been fabulous – easy to grow and very floriforous. They are still looking good now. I’ll certainly be growing them again next year.